Welcome to another edition of Baking 101 series. We have covered some tools, chocolate and also how to measure. 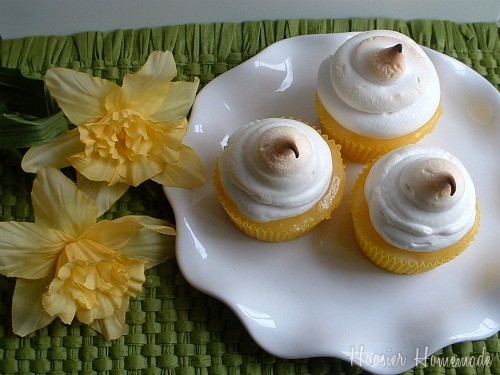 Since I have been sharing some yummy Pie inspired Cupcakes, I thought it would be good to show you How to make Meringue. 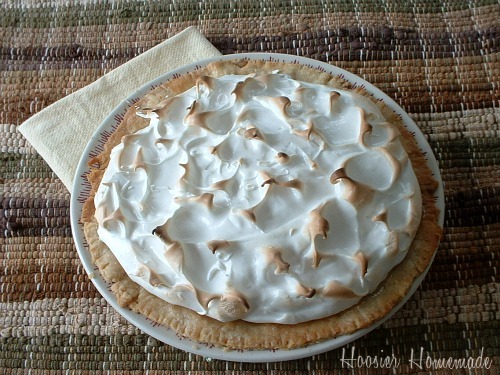 Cream pies topped with Meringue are my absolute favorite…especially chocolate. I usually just use a box of pudding, but I have found that the cooked pudding is better than instant for a pie. 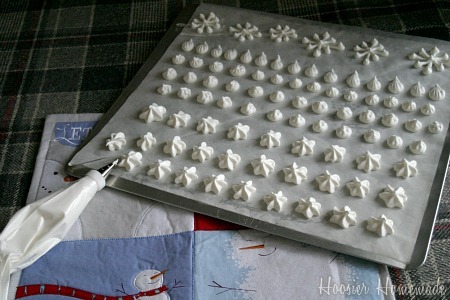 Meringue is really pretty easy to make, but it does take some planning ahead and a little patience. I made a video for you, showing you how to seperate eggs,how to make meringue and add it to a pie. Easy enough huh? After you top your pie with the Meringue, put it in the oven at 400 degrees for about 10 minutes. You will need to watch it closely because it can get too brown really fast. What a perfect looking pie there…so beautiful! Thanks for sharing. Thank you so much for the video, Liz. 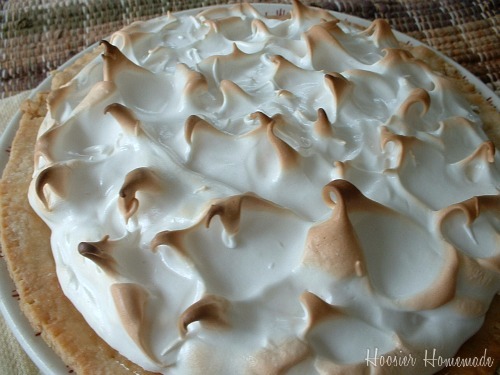 I’ve always felt too intimidated to make meringue but now you’ve shown me it’s so easy! I’ll hunt through your blog to see if you’ve ever done a video on making pie crust, but if you haven’t would consider doing that? P.S. My husband, whose favorite pie in all the world is lemon meringue, thanks you, too! You are very welcome Rosie. If it all works out, I plan on sharing a pie crust video next week.